I must admit, I was quite excited about wearing this outfit. These colours were no way near what I'd naturally match up and yet it just felt so right when I got it on. I love it when an outfit actually reflects who you are and gives an enhancing feeling to be more of it. This is what I love about clothes and what makes it so perfectly genius. I love your outfit so much!! I love those two colours together, and also the setting of your photo's = perfection!! though I probably might never wear that myself, I love this colour combination! not even awkward at all! love it! Lækkert outfit! - Jeg så dig på Købmagergade idag, og blev helt befippet. Du ser endnu flottere ud i virkeligheden! That is what its all about! I love the collar on that top!! Love your nice outfit! And you look so pretty! Classy gorgeous combo! Love the green! Hi Mikaela , thank you so much for your sweet comment on Google + . You have a great blog , would you like to follow each other ? you’re right, these colors usually contrast, and they do here as well, but it’s a very good contrast. 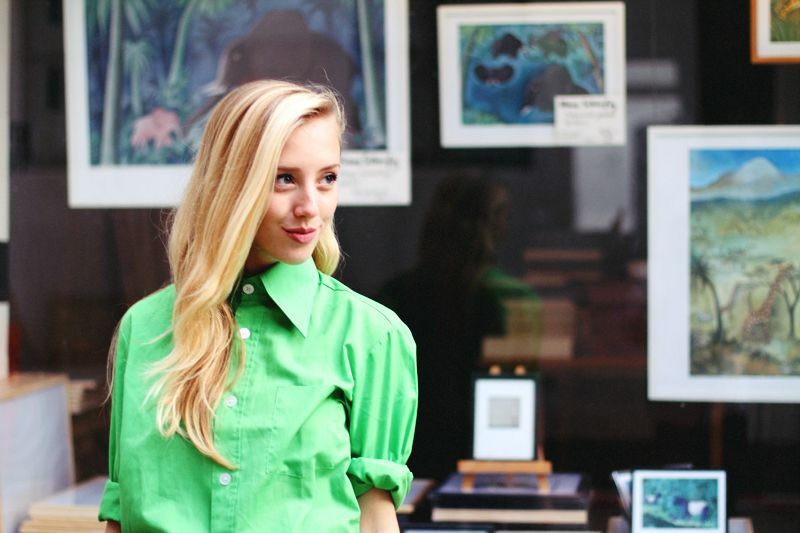 and how amazing is that oversized collar of the shirt?! I totally understand when you talk about clothes enhancing the real you. that is a great feeling. why awkward?i fond them very matching and its such a beautiful outfit!! Soo pretty! Amazing shirt ! I really love this combination!! 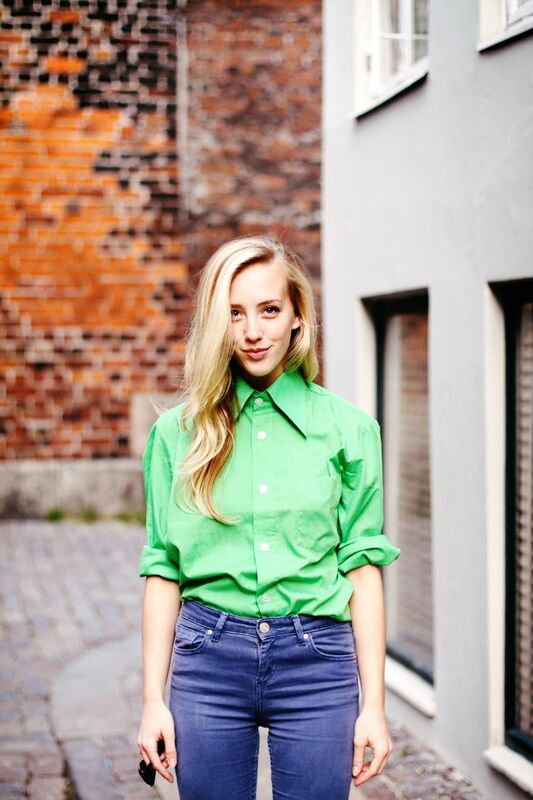 This shirt is so colourfull and the perfect contrast to the upcoming grey winter!